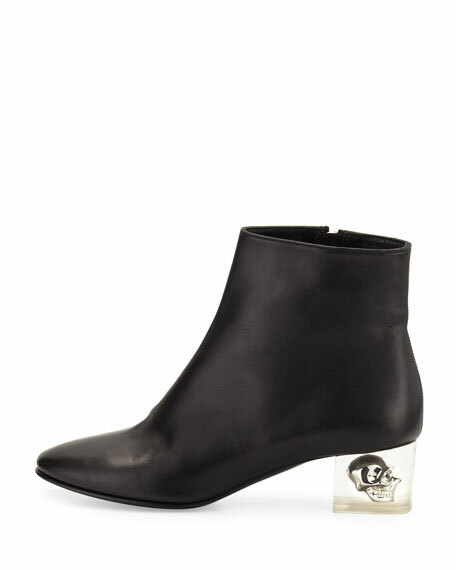 Alexander McQueen calf leather ankle boot. 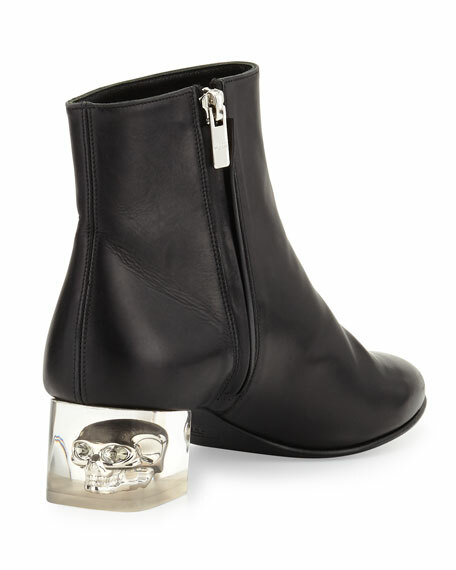 1.8" clear heel with signature floating skull detail. 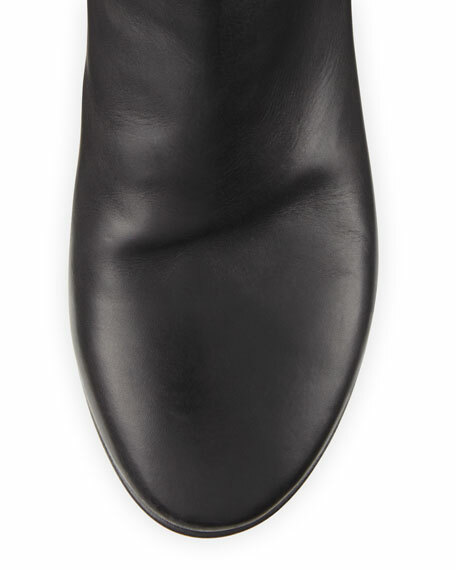 For in-store inquiries, use sku #1790605.